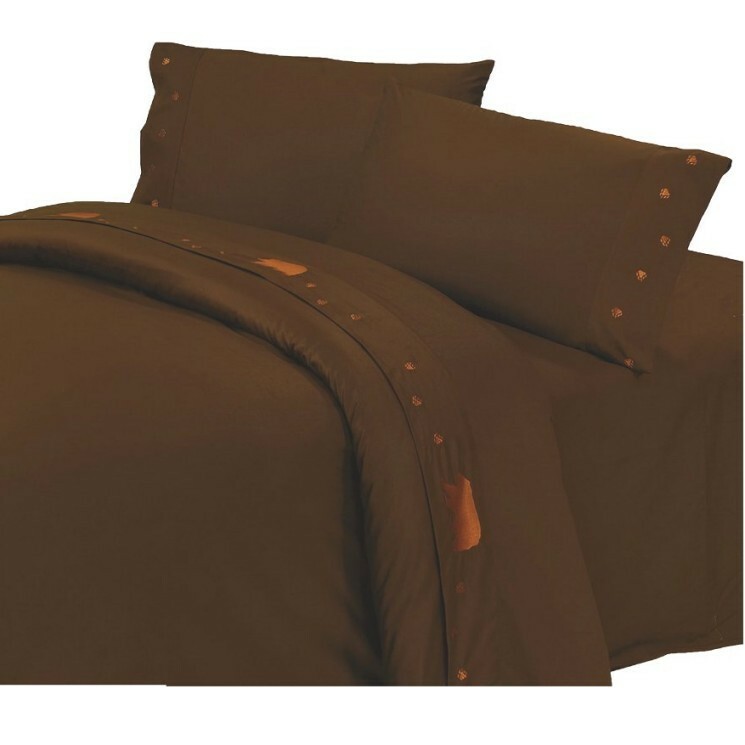 These rustic Brown Embroidered Bear Sheets are 350-thread count 100% cotton, with an embroidered bear design on the top sheet as well as the pillow cases. These rustic Brown Embroidered Bear Sheets are 350-thread count 100% cotton, with an embroidered bear design on the top sheet as well as the pillow cases. Fitted sheets are designed with deep pockets to accommodate mattress up to 18" deep.